The original writings are more than likely more feminist, I will show you where the story starts. Dad left us a note. The Bible isn't a feminist work. I find it just plain stupid when feminists try to claim stuff like that, and list things like men inheriting the property in Israel, men being able to cancel their wives or daughters vows, men having the right to give their daughters in marriage. All that is patriarchy. The Bible presents a positive version of patriarchy. Page 3 of the first testament states " And Adam Called his wife's name Eve because she was the mother of all living". How could she be the mother of all living when she has not given birth to a child yet? further more all means gave birth to everything. Btw did you all know that there was a historian named Philo who documented the history of Judea from 20 CE to 60 CE. Yet he never mentions one word about Jesus. Why? Isnt that very odd? Philo was a Jewish theologian in Egypt, whose theology is similar to New Testament theology. In which of his documents would it have been appropriate for him to mention Jesus. Josephus was the historian, and ancient manuscripts of his do mentioned Jesus and His works. I just saw the documentary "caesars messiah the roman conspiracy to invent jesus". You should see it. It makes a lot of sense. I first saw it in 2013 but didnt follow it well. Now i understand it a lot better. I've got limited time, so I don't know if or when I'll get around to watching these videos. - The romans distributed the four gospels in judea when they were written in 70 AD. They could have destroyed them if they hated Christianity but they didnt. That means the Romans invented Christianity and promoted it. This looks like yet another crackpot theory. Why would pagan Romans do this? The gospels are too Jewish for the Romans to have written them, with Mark being written with a Jewish accent, using 'kai' like 'wa'--- the word for 'and' all over the place. How would the religion take off if there were no actual adherants and it just started because the Romans wrote a book. There are some sites in Israel that are supposed to be Biblical sites because of some less-than-reliable reason like Constantine's mother saying that a certain mountain was the mount of transfiguration or because a British officer thought a hill looked like a skull. But there are also places where there has been a constant tradition that the place was a certain location, for example, the upper room site, where Jesus was believed to have had the Lord's Supper and the apostles were tarrying when they were baptized with the Holy Spirit in Acts 2. Arechologists have dug down to the first century at this site and there is a synagogue there, found with Christian 'grafitto' and the Torah niche facing the traditional burial and resurrection site of Christ, at the Church of the Holy Sepulchre instead of toward the temple. This dates to the first century. How would all of this have started so early just from a book written by Romans? Paul was going around evangelizing before the dates you mention. He mentions some figures who were in certain roles, for example Erastus, the chaimberlain of the city in Corinth, i.e. the director of public works. Archeologists have found an inscription with this man's name on it. James (Yakov) was Jesus (Yeshua's) brother. Did you hear several years ago that an ossuary from the first century was discovered, possibly something that formerly had been stored at an Armenian church as the ossuary of St. James. This was a bone box his bones were stored in. Normally, these boxes say the name and say son of, and don't mention a brother. But this one said James the brother of Jesus the son of Joseph. Statistically, the chances were high was that this was the ossuary of THE James, and then we also have to consider his brother was important enough to mention on his ossuary. - The gospel manuscripts are in greek. Not hebrew or aramaic. This means the authors were more roman than jewish. Why would it mean that? Why wouldn't they be written in Latin, the language of the Romans, if that were the case? Read Edersheim's Life and TImes of Jesus the Messiah. There were a large number of Greek-speaking synagogues using the Septuagint Greek translation of the Old Testament in the first century. Maybe one in 8 people in the empire held to Judaism as their religion, and there were synagogues all over. The ones in Judea used Greek and Hebrew. There is also a tradition that Matthew was originally in Hebrew. - The gospels are pro roman and say that you should pay your taxes to caesar, when jesus said "render unto caesar what is caesars". Gee who benefits from that? The Romans of course. Caesar's face was on the coin. That was a logical answer, and a brilliant one politically. - The gospels are anti jewish and condemns jewish pharisees and tries to blame jews for jesus crucifixion and thus creating anti semitism. They cause division in judea and weaken the Jews there. 'Jews' in some instances in John may refer to Jewish leaders in Judea, as opposed to other Jews. But since the author and immediate audience was Jewish, this wouldn't create 'antisemitism.' The Old Testament is full of prophetic criticism toward disobedient Israelites and their leaders. - The gospel narrative of jesus fits exactly the narrative of emperor Titus Flavius and his campaign. Many events are the same. And even more striking is that the exact SEQUENCE of the events are the same too! That cannot be coincidence once you see the list. How many people did Titus raise from the dead? - The writers of the four gospels could not be fishermen. Fishermen were not educated or literate at the time. Only professional scribes of the Roman government had the skills and education to write them. Especially since they were in greek. Jewish fishermen could not write sophisticated stories in greek. False. First of all, only two of them were supposed to be fishermen as far as we know. Jews back then, even fishermen, learned to write. There were schools in small Jewish towns. The Pharisees set up the system. The synagogue could serve as the meeting for the school. Boys learned to read and also memorized the Torah from age five to 10. Some went on to study further on the prophets. Some of those went on for so-called rabinnical training. - The prophecies of the gospels came true in 70 AD when the jewish temple was destroyed. Thats when they were written and backdated. The reason some date the gospels late is that they don't realize that God can tell people future events. It's circular reasoning to say the Gospels must be back dated if you think about it. - In 70 AD another jesus named jesus of aranais was crucified on the cross too. Perhaps there is some mix up here. You are missing it by 40 years, and there were other men named Yeshua or Yehoshua back then. Joshua was an important historical figure. There was also a priest named Yeshua in the time of Zechariah the prophet. These were Jewish names. - The reason the Christians destroyed the library of alexandria and killed hypatia was because the pagans at the time were exposing the fact that the romans copied the exact motifs from their pagan religions to establish Christianity. To cover up the proof that they copied pagan religions, the romans tried to destroy all proof of the linkage between paganism and Christianity by destroying the books of the library. That was the true motive. Sounds like a theory that relies on those who hear it not looking up their history. The burning had to do with Roman generals and emperor's invading, Caesar first, then later Aurelian. Where is the evidence of the Christians being involved? Why did the Romans feed Christians to the lions and other horrific things if they started the religion and maintained it for their purposes? - Emperor Constantine made Christianity the official religion of the Roman empire. He would not do that if it were a Jewish religion. He would only do that if it was a roman religion, which the flavian dynasty created. That makes sense. A roman ruler would only promote a roman created religion. I recently read a statement from him about having nothing to do with the Jews. He died try to distance Christianity from Judaism. But that doesn't mean that the Romans, who persecuted the religion, had created it. 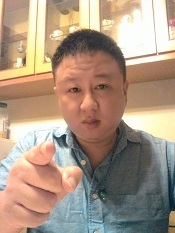 So you see, theres a lot of evidence for this theory that the romans invented Christianity to pacify the jews, so they could control them with religion rather than a standing army and continue fighting them in wars. Eventually the religion was used for political control of course. It was a brilliant plan and invention. And it makes sense if you study it and look at the big picture. None of that constitutes evidence. Some of it is just plain false. The rest of it is asserting connections without evidence. Last edited by MrMan on December 20th, 2017, 3:08 am, edited 1 time in total. Here is the Christian rebuttal to "Caesars Messiah" by Chris White. It's only 11 minutes. Response to Caesar's Messiah by JP Holding, a militant Christian apologist, on his Tektonics site. winston,Read up on the Apostolic fathers like Clement,ignatius of antioch,polycarp,Iraneaus..the apostles of the 12 apostles read the works of clement,wich was written before the destruction of jerusalem.read Isaiah 53. Why? What would those works tell me? they were written by people that knew the apostles and died for their faith.Jesus was a real person,his apostles ate with him and they had apostles and successors in the church up until today. Joseph Atwill explains why the Son of Man in the New Testament was Titus Flavius. It seems that there are too many parallels for this to be coincidence. This means the Gospels were written after 70 AD when the Jewish Temple was destroyed by the Romans. Is there any evidence that the Gospels existed before 70 AD? If not, and if the Romans wrote them, that means the prophecies of the destruction of the Temple were made AFTER it happened. More on the "Roman invention of Jesus" theory. Old Testament stories are often found to be echoed in the New Testament, in a relationship in which the Old Testament model is called the ‘Type’ and the New Testament reprise is called the ‘Antetype’. The study of these ‘Types’ and ‘Antetypes’ is called Typology. Atwill claims that similar typological relationships knit together the Gospels and the works of Flavius Josephus. Atwill notes that according to the Preterist school of biblical interpretation, the prophecies of Jesus and Daniel were fulfilled by the destruction of Jerusalem in 70 AD. He suggests that this is evidence that the Gospels (including the prophecies of the coming of the Son of Man) were actually written after the Jewish war, and that the Gospels can then be interpreted ironically as predicting that Titus is the anticipated 'Son of Man'. However, as Atwill admits, his analysis (as well as the Preterist analysis) disagrees with mainline Christian interpretations of the Biblical prophecy of the Second Coming. Furthermore, he argues that Jesus’ mission foreshadows the military campaign of Titus in Judea. According to Atwill, this indicates that the Gospel authors wanted to signal that the character Jesus Christ, as the fulfillment of the Messianic prophecies of Hebrew scripture, was a representation of Titus Flavius. The Jewish Zealots and Sicarii were also expecting a Messiah, but they expected that their hero would defeat the Romans. Instead, as depicted in the Gospels, Jesus was highly critical of the Jewish priesthood, and the Jews were blamed for killing this Messiah, according to the Gospel texts. Furthermore, Atwill says that Josephus' narrative in The Jewish War, is built around the idea that Daniel’s prophecy was fulfilled by Titus’ conquest of Jerusalem and the destruction of the Second Temple. Atwill sees this as an ironic juxtaposition of events, as Titus Flavius (as the prophesied Second Coming of the Gospels' anti-semitic Jesus) destroyed the Temple and conquered Jerusalem, and turned it over to the Romans. The mythicist Biblical scholar Robert M. Price said that Atwill's view that Titus's conquest was the fulfillment of Jesus' prediction of the fall of Jerusalem, was "one of Atwill's most attractive suggestions." He agreed that the Gospels were based on Josephus, but said that the 'Son of Man' referred to mankind in general. Besides Caesar's Messiah, there is a new book now with the same thesis, that the Roman Emperors invented Jesus to pacify violent messianic Jewish rebellions. I just got it on Kindle for only 6 dollars, and so far it makes a lot of sense and presents some strong arguments. It shows you a Roman coin with Christ's symbol on it in the First Century, and also shows you a letter to Emperor Trajan from Pliny the Younger about how he should treat the Christians, which indicates that Christians were not persecuted as they claim. Such historical hard evidences seem to disprove what the Christians claim about their early history and persecution. See below. Exhaustively annotated and illustrated, this explosive work of history unearths clues that finally demonstrate the truth about one of the world’s great religions: that it was born out of the conflict between the Romans and messianic Jews who fought a bitter war with each other during the 1st Century. The Romans employed a tactic they routinely used to conquer and absorb other nations: they grafted their imperial rule onto the religion of the conquered. After 30 years of research, authors James S. Valliant and C.W. Fahy present irrefutable archaeological and textual evidence that proves Christianity was created by Roman Caesars in this book that breaks new ground in Christian scholarship and is destined to change the way the world looks at ancient religions forever. Inherited from a long-past era of tyranny, war and deliberate religious fraud, could Christianity have been created for an entirely different purpose than we have been lead to believe? Praised by scholars like Dead Sea Scrolls translator Robert Eisenman (James the Brother of Jesus), this exhaustive synthesis of historical detective work integrates all of the ancient sources about the earliest Christians and reveals new archaeological evidence for the first time. 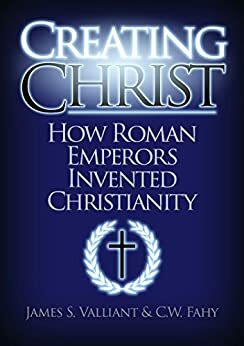 And, despite the fable presented in current bestsellers like Bill O’Reilly’s Killing Jesus, the evidence presented in Creating Christ is irrefutable: Christianity was invented by Roman Emperors. "A fascinating and provocative investigative history of ideas, boldly exploring a problem that previous scholarship has not clearly or credibly addressed: how (and why!) the Flavian dynasty wove Christianity into the very fabric of Western civilization." Btw, a historical letter from Pliny the Younger to Emperor Trajan in 112 AD indicates that there was NO official Roman persecution of Christians, as Christians today claim. See below. The letter is the first pagan account to refer to Christianity, providing key information on early Christian beliefs and practices and how these were viewed and dealt with by the Romans. The letter and Trajan's reply indicate that at the time of its writing there was no systematic and official Empire-wide persecution of Christians. Trajan's reply also offers valuable insight into the relationship between Roman provincial governors and Emperors and indicates that at the time Christians were not sought out or tracked down by imperial orders, and that persecutions could be local and sporadic. Pliny's letter is the earliest pagan account to refer to early Christians and provides a key description of Roman administrative process and problems. The correspondence between Pliny and Emperor Trajan shows that the Roman Empire, as a government entity, did not at this time “seek out” Christians for prosecution or persecution. Although Emperor Trajan gave Pliny specific advice about disregarding anonymous accusations, for example, he was deliberate in not establishing any new rules in regards to the Christians. In doing so, Trajan allowed Pliny to try cases according to his discretion.